Dementia is more than a disease. What dementia is, how it is understood, and how it is experienced is influenced by multiple factors including our societal preoccupation with individual identity. This essay introduces empirical and theoretical evidence of alternative ways of understanding dementia that act as a challenge to common assumptions. It proposes that dementia be understood as an experience of systems, particularly networks of people affected by the diagnosis. Taking this step reveals much about the dementia experience, and about what can be learned from persons with dementia and their networks of family, friends, and carers. It also suggests that dementia may be best thought of as an ecology that arises from the interaction between neuropathological change, people, language, and meaning. While challenging, this perspective may provide new ways of responding to dementia and caring for those affected by it. Kinsella, E.A. 2006. Hermeneutics and critical hermeneutics: Exploring possibilities within the art of interpretation. Forum: Qualitative Social Research 7(3). https://doi.org/10.17169/fqs-7.3.145. Nuffield Council on Bioethics. 2009. Dementia: Ethical issues. 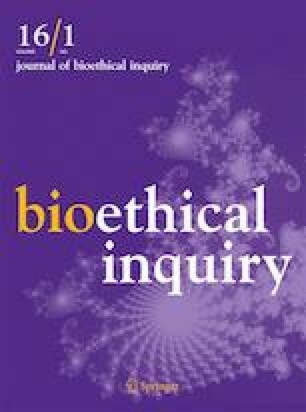 http://nuffieldbioethics.org/wp-content/uploads/2014/07/Dementia-report-Oct-09.pdf. Accessed March 11, 2019.